English hops are enjoying a renaissance thanks to new varieties, greater demand for 'hoppy' ales and the incredible growth in micro breweries. Sheila Dillon samples some new ales. 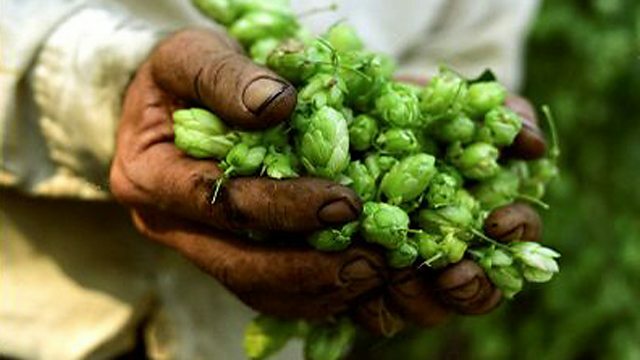 English hops are enjoying a renaissance thanks to new varieties, greater demand for 'hoppy' ales and the incredible growth in micro breweries. Sheila Dillon enjoys some of the heady aromas and samples some new ales. She visits Shepherd Neame, a brewery in Faversham, Kent and talks to head brewer, David Holmes, She visits farm owner Tony Redsell, whose family has been growing hops for over 50 years, and meets hop driers Derek Elvey and Peter Shead. Sheila also talks to Dr Peter Darby about The National Hop Collection at Queen Court Farm, near Faversham.